Fortune 500 executive turned life and leadership coach Shelley Paxton shows readers how to step away from their busy lives—and into their deepest selves—to find what true fulfillment means to them. Former Harley-Davidson executive Shelley Paxton lived a wildly successful life by most traditional definitions—titles, money, travel, and adventure. Her global career took her to over 60 countries, where she hung with the jet set and flexed her muscles in the boardroom. Yet she felt a gnawing lack of fulfillment that eventually spiraled into illness, divorce, and addiction. To face the fears and dreams she had been ignoring, Paxton walked away from her 26-year career and embarked on a deeply personal journey to reconnect with her true purpose and deepest desires. She called it her “Soulbbatical,” and it not only changed her life; it became her calling. After her dad suffered two strokes, Soulbbatical became Paxton’s mission: to inspire others to live their most authentic, courageous, and purposeful lives—today. Because no matter how far you’ve strayed from your true path, it’s never too late for transformation. Now running a successful coaching business, Paxton shares her story with individuals and businesses in need of inspiration, helping them make the changes they need for sustainable health and greater fulfillment. Soulbbatical provides an unconventional, exhilarating, sometimes scary roadmap to discovering what you really want—and how to get it. 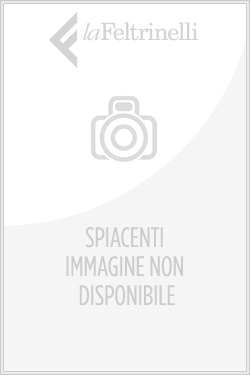 Acquista Soulbbatical in Epub: dopo aver letto l’ebook Soulbbatical di Shelley Paxton ti invitiamo a lasciarci una Recensione qui sotto: sarà utile agli utenti che non abbiano ancora letto questo libro e che vogliano avere delle opinioni altrui. L’opinione su di un libro è molto soggettiva e per questo leggere eventuali recensioni negative non ci dovrà frenare dall’acquisto, anzi dovrà spingerci ad acquistare il libro in fretta per poter dire la nostra ed eventualmente smentire quanto commentato da altri, contribuendo ad arricchire più possibile i commenti e dare sempre più spunti di confronto al pubblico online.